Let the whole world know how much she means to you with a delivery of the Blissfully Yours bouquet. 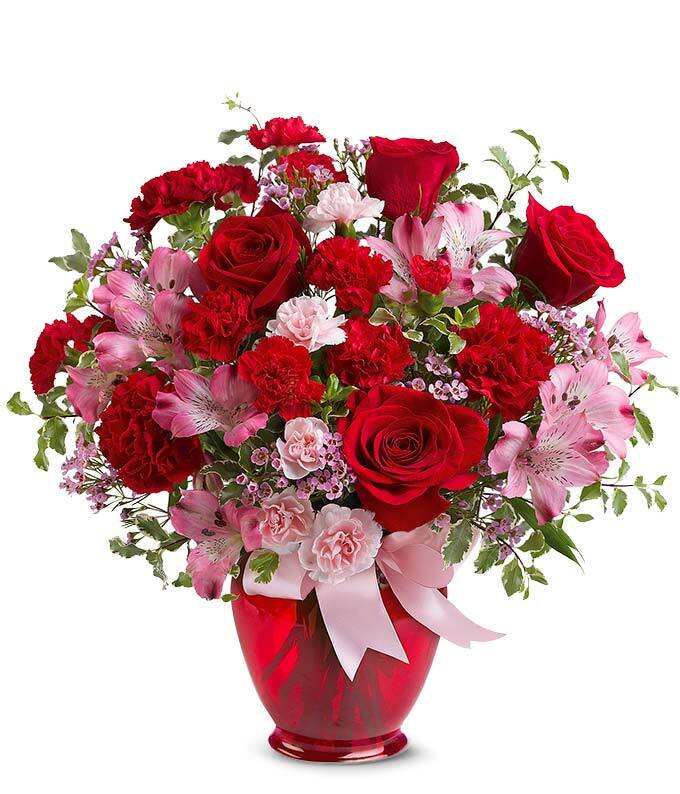 The flower bouquet is arranged with a mix of different flower types all in either pink or red tones. The stand-out flower is the red rose which is paired by a local florist near the delivery address with pink alstroemeria, red carnations and pink wax flower. The roses, carnations and alstroemeria are delivered by hand in a bright red vase, wrapped with a pink bow.